Digital Transformation – IR35 public sector confusion? 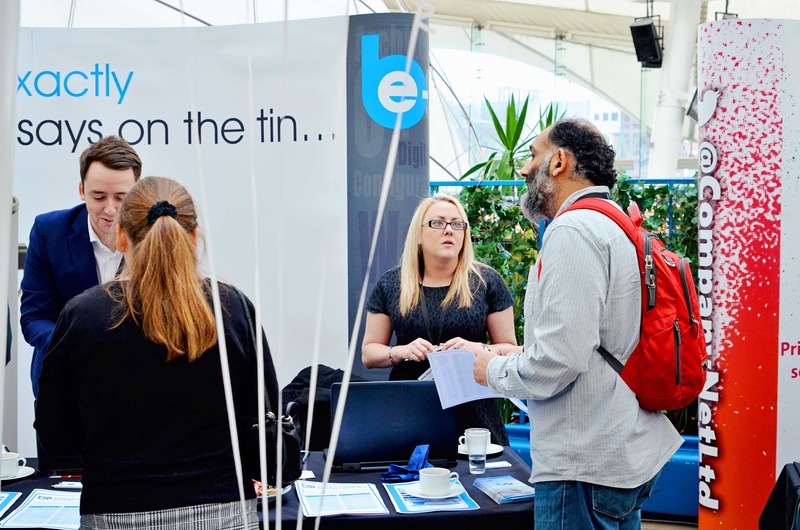 Last Thursday, Be-IT attended the Digital Transformation Conference in Edinburgh. With speakers from, amongst others, Travelex, Cortex, Malzeee, Standard Life and Reloaded, this was the second annual event of its kind organised by Scot-Tech. However, just to confuse everyone, Scot-Tech also changed its name on Thursday! From now on, it’s called Digit – and you can see their new website here. Mentioning their new website also allows us to alert you to watch out for an interesting guest blog on the topical issue of IR35 (of which more below) from our very own Gareth Biggerstaff which will appear there soon. 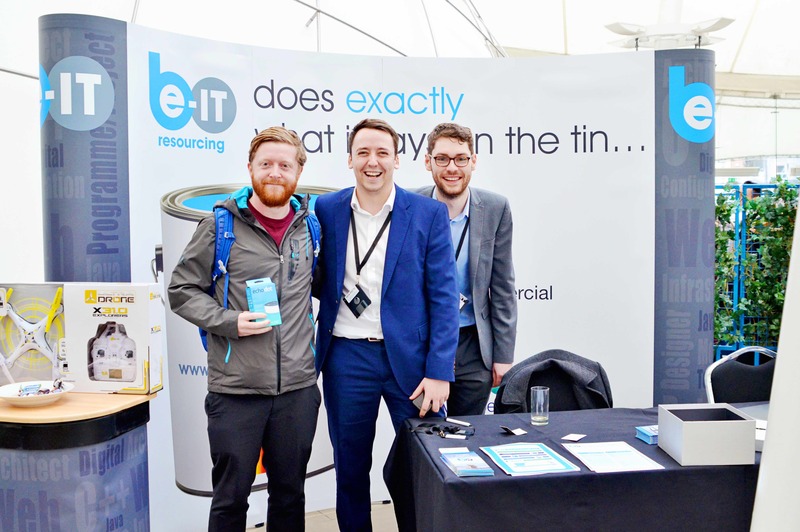 Billed as a conference that would bring together technologists and digital & marketing leaders to discuss business transformation, it lived up to its publicity and was, from our perspective at Be-IT, a really useful opportunity to engage with many old friends and make some new ones. 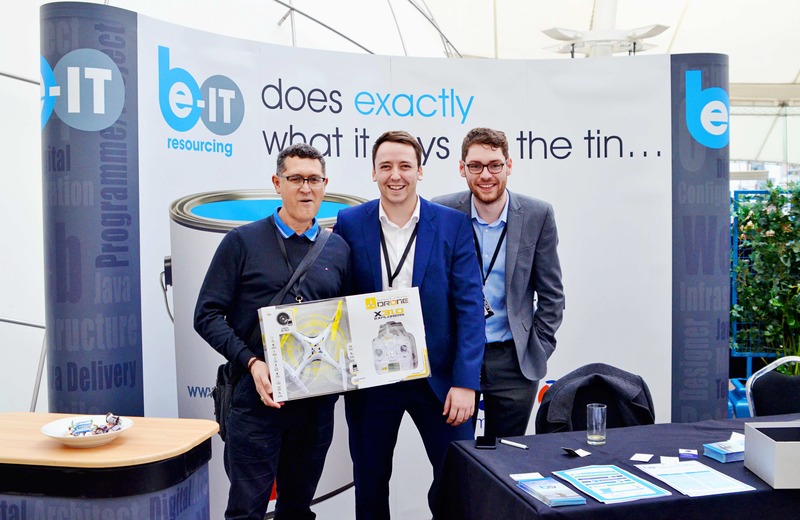 Despite the best efforts of Storm Doris to reduce the attendance, there were several hundred people there and to jolly things along we had two amazing prizes up for grabs in the Be-IT raffle - an Amazon Eco Dot and a Drone (a flying one, not a boring one). As you can see, trade was brisk at the Be-IT stand. In particular, we were approached by a number of SMEs who (like many others) are struggling to recruit to architecture and developer positions. The other main group who came to speak to us were public sector contractors who, despite all the publicity about IR35, are, in many cases, still in the dark about what is happening. The problem appears to be a lack of communication from the public sector generally, which makes it difficult for them to make a decision as to their future employment status. It may be that a lot of these people decide to leave the public sector and seek contracting roles in the private sector. In this scenario, the public sector would have to increase its rates to attract candidates while the private sector rates might be slightly depressed as more workers flood the market. Alternatively, contractors may demand higher rates to stay working in the public sector. Either way, the public sector runs the risk of increasing costs and reducing the supply of its contractors, which surely can’t be the intended impact of the IR35 changes? Ross McBride Registers of Scotland, who won the Eco Dot. Sean Garrity of RBS, who won the Drone. All in all, it was a very useful and worthwhile event – and we’ll be there again next year!